TAKE away the princes and you take away the polish. The Queensland rugby league team shouldered with the pressure of maintaining the state's reputation in the absence of a group of champions lacked nothing in effort, desire and willingness to compete. But the things that effort cannot bring you are polish, poise and that precious ability to do the little things right - like making effective tackles. Forget about Johnathan Thurston kicking goals from the sideline or Cooper Cronk potting a field goal at the death. 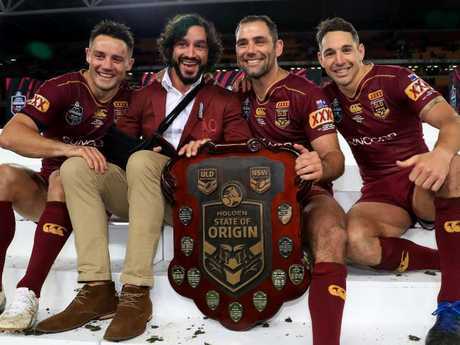 Queensland were beaten 22-12 last night lost the match because they missed more than 40 tackles with Latrell Mitchell, Josh Addo-Carr and James Tedesco breaking more than 30 between them. Just as was the case last year, Queensland have been soundly dealt with in the first match of the series. They leave Melbourne chastened but not crushed. The loss at the MCG before a crowd of 87,122 confirmed that NSW are what Queensland thought they were - pacy, strong, united and very ambitious. But they are not unbeatable. 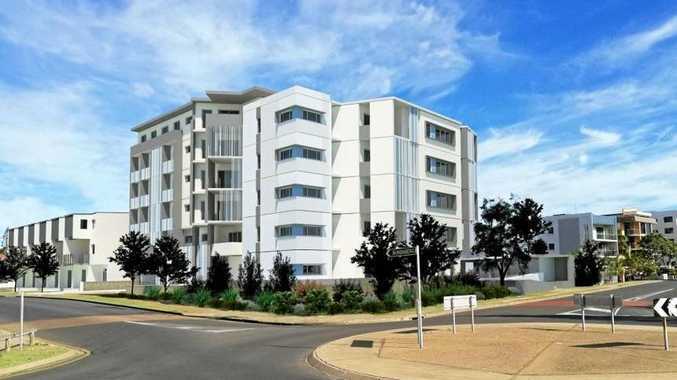 Queensland will take solace in its own green shoots. Dane Gagai lifted a gear in Origin. Michael Morgan is still capable of conjuring brilliant moments. Valentine Holmes relishes the big time and Andrew McCullough is Andrew McCullough where he is playing for the Broncos or Queensland. 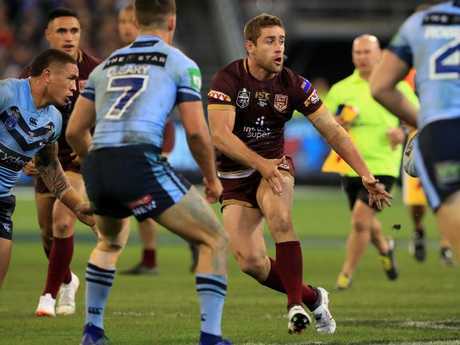 But the chastening reality is that unless Queensland can unearth more forward crunch the worm which has turned this game could be headed to Sydney for the rest of the series. A heartening feature of a dim night for Queensland was the performance of skipper Greg Inglis. Inglis's first run of the game, when he ploughed through the middle like a four-wheel drive in first gear, said much about his desire. Soon after he displayed a fend which would have punched a hole in a dam wall and even though he was penalised for it, the message lingered in the air. Later, when Queensland were down 8-0, he hit Tom Trbojevic with a tackle that drove him to somewhere near Bass Strait. Every tackle he made seemed to have a spoonful of extra "I'm the captain'' venom about it. But the cohesion just wasn't there in a tough Origin game. 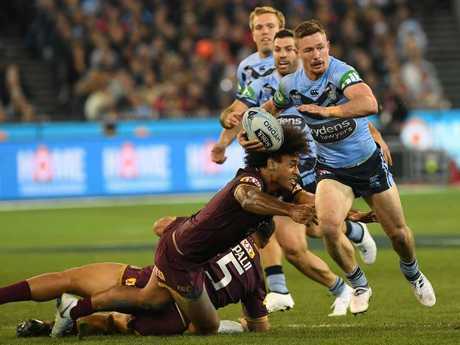 Every Origin game and series have moments which define them and the stunning intercept try from Valentine Holmes fleetingly looked that moment for Queensland. Like a punter thumping his last chip on a roulette table, Holmes boldly moved out of the line to swoop on the James Maloney pass which would surely have put the Blues 14-0 ahead had it sailed clear of Holmes to James Roberts. But the flashy speedster sped 85m to plonk it under the posts as Queensland fans who were in abject despair a minute earlier were embracing a 8-6 scoreline, just two points behind. NSW may have fielded 11 rookies but they played like old sweats. All the fundamentals that coaches love like repeat set of six tackles, low error rates and a splash of adventure were produced by the Blues early as they completed their first 11 sets of six. They played smart and to their strengths. Damien Cook, the brilliant dummy runner, waited until Queensland were out on their feet in the 22nd minute when he took off like a greyhound exploding out of the boxes to set up the first try. 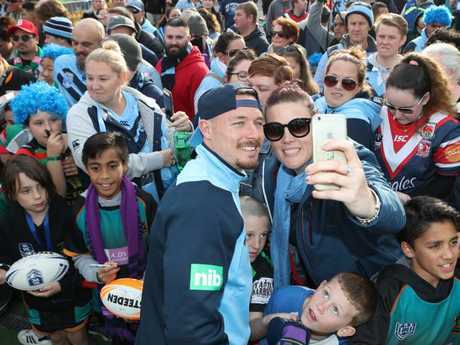 NSW's joy at their victory was boundless because their Generation Next has suddenly become Generation Now. Coach Brad Fittler, the quirky funster with pet llamas named Barrack and Michelle, has, in NSW eyes, morphed from a failed club coach to a representative sage. It was significant that the week after masterful club coach Craig Bellamy said he failed as Origin mentor because he was too tactical and structured, Fittler triumphed by bringing back fun and flair. By encouraging players to embrace the pressure all the way to walking down the hill from the team hotel to the ground, mixing with the masses. With game two in Sydney, NSW are now at unbackable odds to win the series - just as they were last year when they lost it. Queensland fans had hoped that this would be a victory plucked straight from the Penford's bin, a classic of overcoming adversity and odds which made them, in bookies eyes, the least favoured Queensland side this century. But for once the only thing up Queensland's sleeve was an arm. There was no magical act. For once a fighting heart was not enough. Australian music duo Peking Duk provided the pre-match entertainment but for Queensland it was a sweet and ultimately sour performance. Queensland travellers to Melbourne were reminded of champions past in every step of their journey. On Brisbane's Sandgate Road on the way to the airport there was a giant sign of Cameron Smith saying Queensland would be No 1 in 2018. Once they landed in Melbourne and headed to the city the drove under a sign of a flying Darius Boyd. When they drive back to the airport that will spot a jumbo-sized Billy Slater. A couple of months ago all seemed certain starters. Suddenly all were gone. premium_icon Origin 1 player ratings: Who flew and who flopped?